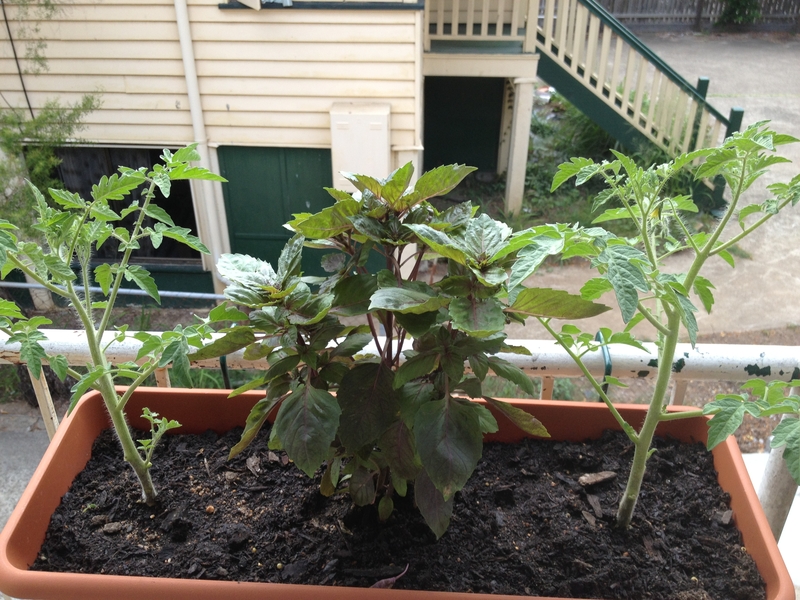 There certainly has been a lot of growth and satisfaction for all our nurturing of the plants this week. 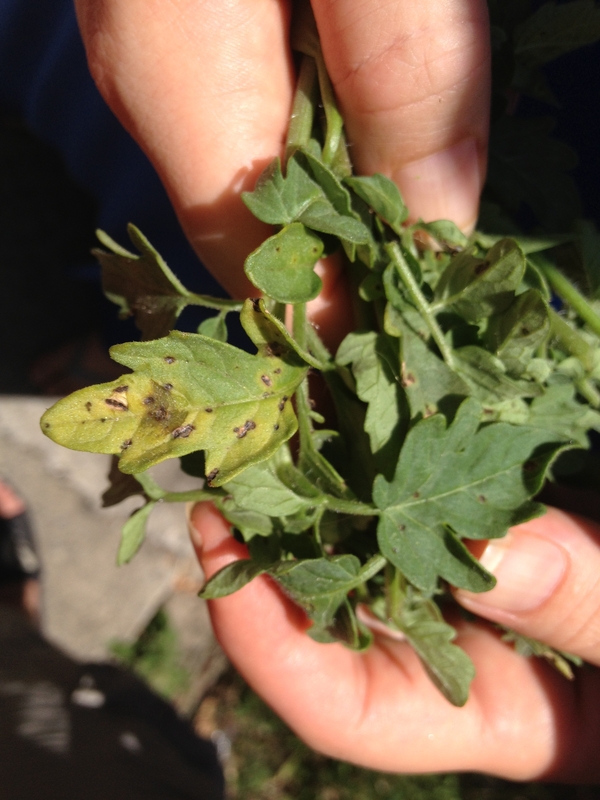 But we made an alarming discovery during the week on the leaves of our tomato plants – little brown spots turning some of the leaves yellow. My initial thought was blight! Doesn’t it sound bad? Just one syllable and deadly. I thought we might have to rip all eight plants out and burn them to kill the disease!! 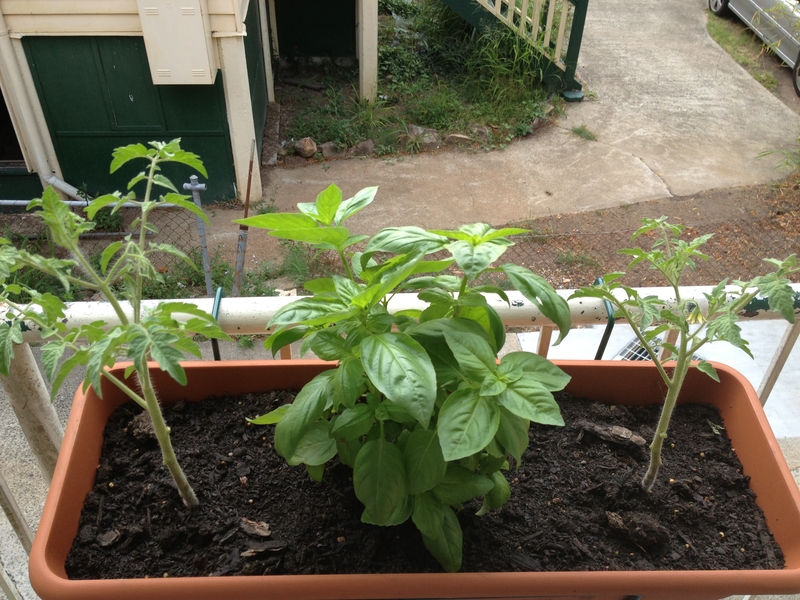 Luckily for our plants we made a trip to Bunnings to consult the garden gurus there. Bob, was very helpful. He told us we just need to build up our plants immune systems with some good liquid fertiliser and seaweed extract. 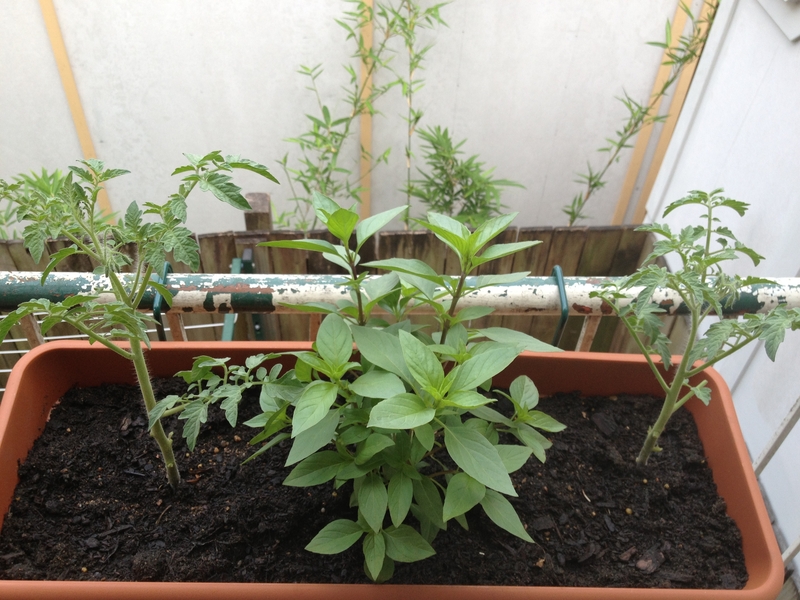 I obeyed dutifully and yesterday got my hands all fishy-smelled with the brown emulsion and watered each of our plants. Let’s hope we can push through the fungal infection. Poor little things. 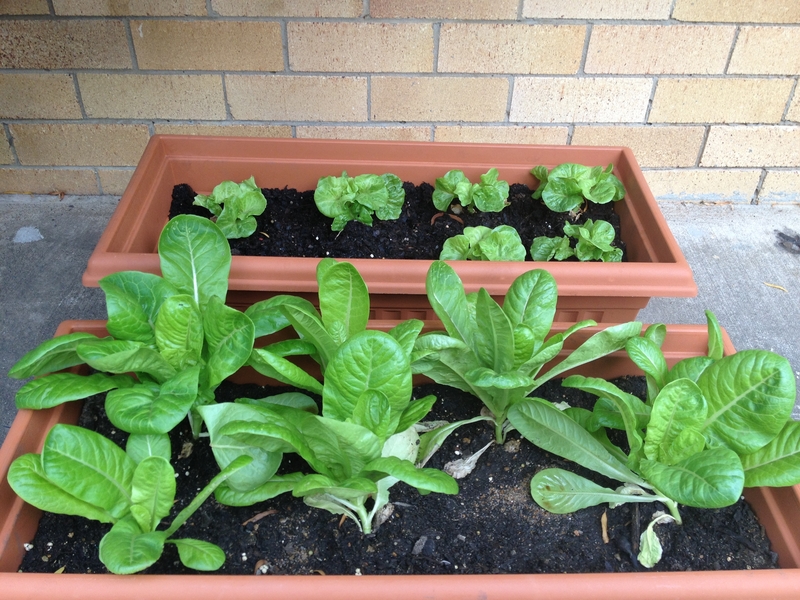 On a brighter note – the lettuces are powering, and so are the basils and our mint plants! They haven’t looked back. 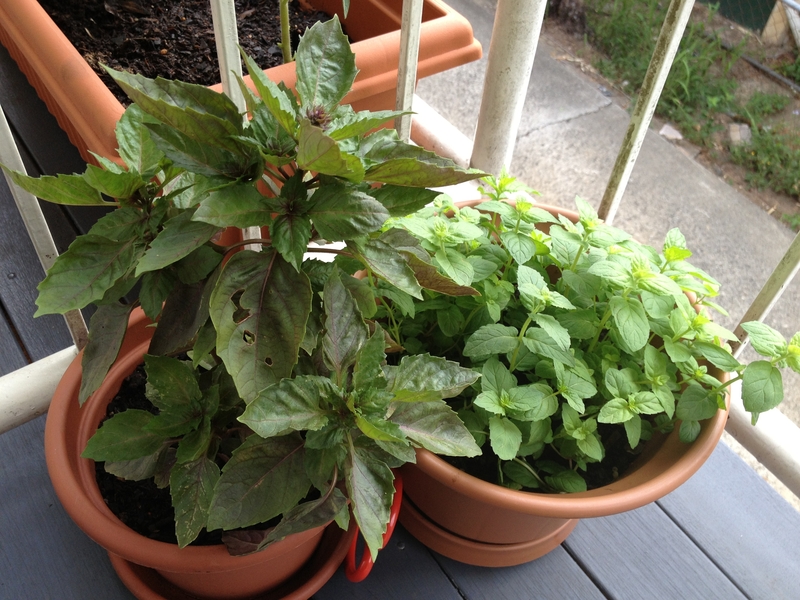 I’ve already been adding a few of the basil leaves to my dishes. Delicious-ness! 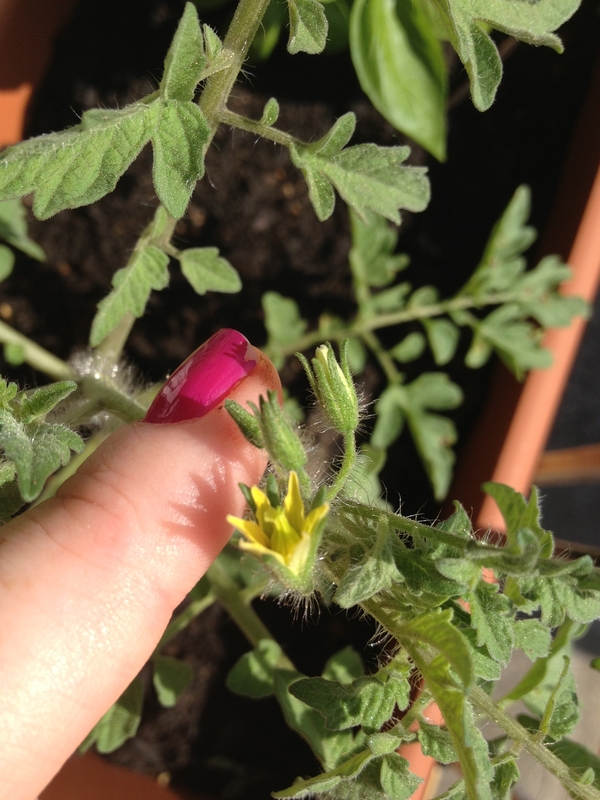 Check out the flowers on our tomatoes! !